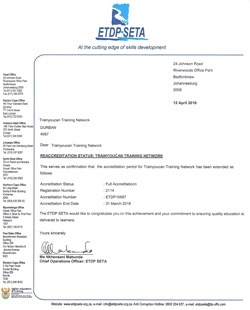 The prospective SDP files an application for accreditation by contacting the QCTO. The application is then referred to the accreditation agent for processing. The National Artisan Moderation Body (NAMB) acts as the accreditation agent for old trades. NAMB recommends the accreditation of SDPs in the form of audit report. The QCTO communicates the outcome of the application to the applicant.